Introducing Shannalee, the latest Bonafide Contributor. As an extended birthday gift to Shannalee, I decided that she needed the gift of perfect skin care as she embraces another year of life. Not that she ‘needs’ it but because beautiful skin is truly a blessing and because maintaining healthy, perfect skin certainly gets tougher as we age. I have been using my new Ultra Calming products for about a week now and I can honestly feel the difference in my complexion. I also pampered my family with some facials over the weekend and they were glowing and feeling extremely special! On one hand I want to savour my products so it will last me a lot longer and on the other hand I want everyone to experience this feeling with me. Shannalee also had a great time at the launch and paid special attention to the detail of each product. Please join me by making her feel welcome. 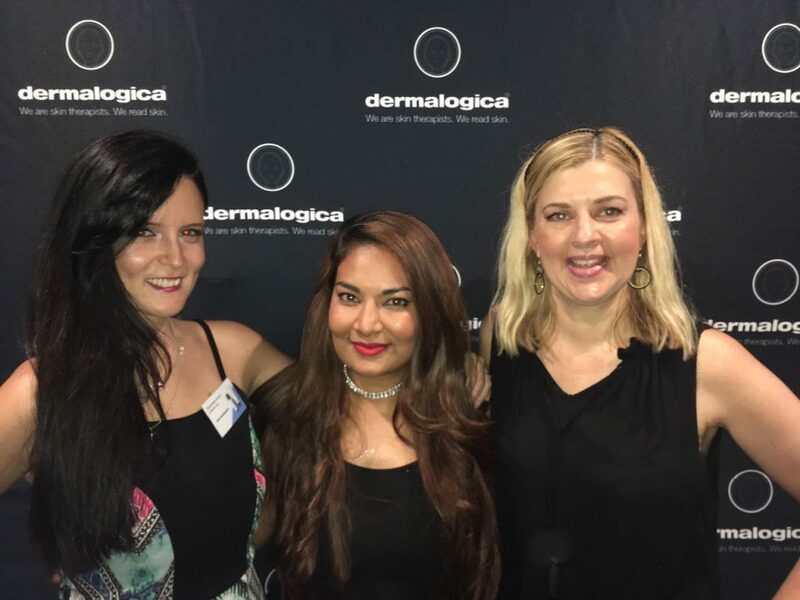 Below is what she had to say..
On the 6th of February Dermalogica SA celebrated the launch of the new Calm Water Gel and Barrier Defense Booster under their Ultra Calming Range with a select few media personnel. 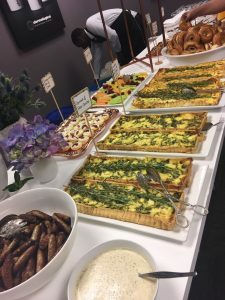 They kicked off the morning with some delicious snacks and they even catered for vegans as well, which is often not the case, so it was a nice surprise. They had a range of Quiches, crackers and cheese, muesli and yogurt and many other things to choose from. Then, straight onto the presentation, where we all learnt so much about the brand and creators, as well as the ingredients in the products. Dermalogica claims their products are the best chance at optimal skin health, and I believe them. Jane Wurwand, the founder of Dermalogica, is living her dream by creating products that are aimed at the most advantageous skin care for your health and wellbeing. Everything they design is aimed at the personalization for each and every skin type, and cares for your personal needs. They offer a free face mapping, which is how they can see who you are, and customize their range to suit your needs. They believe that the story of your skin is so important, it shows every line, laugh, cry and smile. According to Dermalogica, 8 out of 10 people suffer from sensitive skin. There are 3 main skin symptoms to knowing that you have sensitive skin, they are; redness/inflammation, comprised barrier and dehydration. This is why they have developed two new members to the Ultra Calming family, to combat these irritations and hydrate your skin. The Calm Water Gel, 109.4 % felt to be more hydrated on the skin once you apply it, 94% felt to be more hydrated on the skin after 8 hours and decreases water loss in the skin by 38.9%. Compiling of mostly Aloe and duel hyaluronic acids that are 2 different sizes, to hydrate the top level of the epidermis and to penetrate all the way down the skin. It is called the lock moisture system. The Barrier Defense Booster is an oil that one can use before you moisturize, or mix it into your favourite Dermalogica moisturizer. It is designed to soothe, nourish and moisturize to restore balance to sensitive skin. There are 15 different chemicals (including plant oils rich in vitamins, free fatty acids and anti-oxidants) that restoring the barrier function. Turmeric oil adds glow, anti-allergic and anti-bacterial qualities. The Oat Kernel oil is used as a protecting drug. This reduces the itchiness/irritation of sensitive skin. These 2 amazing products are launching on the 26th of February and will be in stores from the 2nd of March. The Calm Water Gel will be retailing at R890 and The Barrier Defense Booster will retail for R1220. From having tried these two products, I must say you can feel the difference in hydration instantly, as well as the moisture seeping through your skin. The smell of the products is also not over bearing, but there is a fresh smell to it. The launch was such an amazing experience to be a part of. Congratulations! I will send you one! Sounds like it was a blast ? Congratulations ? you have won yourself one ? Sounds perfect to me. I’m going to have to get my hands on some of these on 26th February.